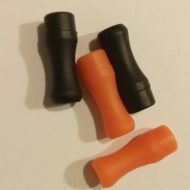 Drip Tips | White Mist Co.
Acrylic & POM Hybrid Drip Tips come in a 2 piece hybrid design, the colored piece is made out of POM and the clear piece is made out of Acrylic. 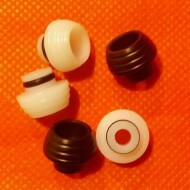 The POM base ensures that the drip tip does not get hot, the 2 pieces can also be used as 2 separate drip tips. 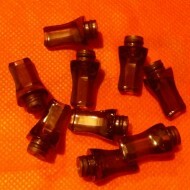 Acrylic Flat Mouth Drip Tips are great for people looking to vape in a MTL (mouth to lung) style. 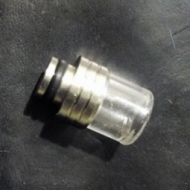 Glass drip tip with rounded off edges to protect against getting cuts, feels great while using and doesn’t heat up. 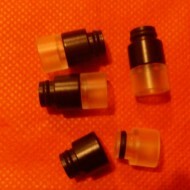 Silicone Round Mouth Drip Tip are soft and can be used as disposables.